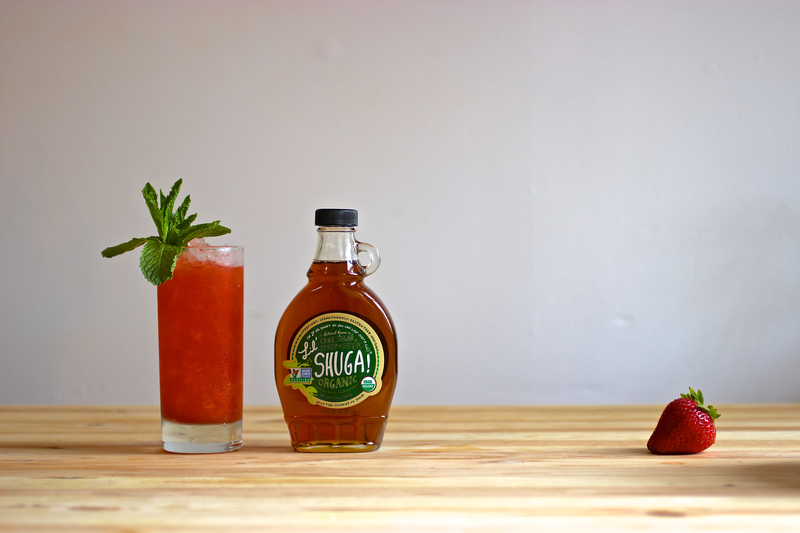 Thursday afternoon is up for a simple and light champagne cocktail, using strawberries, fresh lime juice and Lil SHUGA! This cocktail is perfect for special occasions but also you can prepare it anytime. It is bubbly, pink, sweet and pairs excellent with a homemade dinner or to share with your significant other, family or friends! Enjoy shugas! Add ice, stir and serve! Mint is optional but really cool!